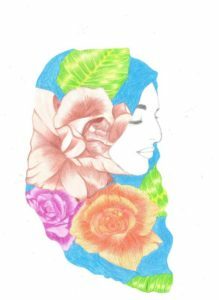 KS3 Art and Design lessons lay the foundations for pupils to continue with GCSE, and then on to A Level Art and Design. Many of our Artists go on to study Arts courses in higher education and we love to hear back from those who have gone on to pursue careers in the Arts. 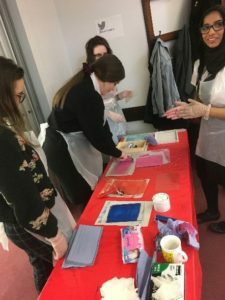 Pupils are introduced to a range of creative making skills through practical lessons underpinned by research into Arts, Craft and Design practitioners and cultures. 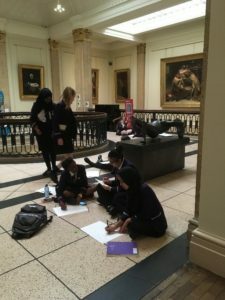 By recording the world around them through drawing, photography and writing pupils are encouraged to reflect on their own work and progress, and develop their own opinions. With increasing freedom throughout the Key Stages our pupils develop confidence and independence to respond to set briefs in a personal way. Art Club takes place once a week after school and twice a week at lunchtime. This is open to all. 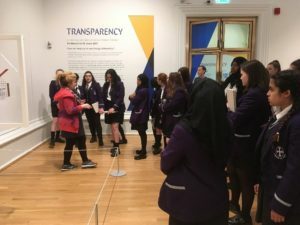 We work closely with the Walker Art Gallery to enrich our curriculum with trips, outside speakers, competitions and exhibition opportunities. Students work with specialist staff to explore a wide range of techniques and processes including drawing, painting, printmaking, photography, film, digital, textiles, sculpture and more. 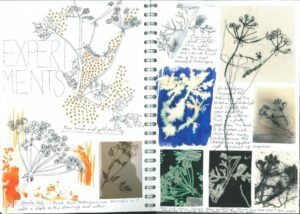 All projects begin with recording from first hand observation through drawing and photography and are underpinned by research into artists, designers and cultures. Through teacher lead workshops and group critiques our artists work together to learn new skills, form and express opinions and share ideas. Students develop a portfolio of coursework from September in year 10 through to Christmas in Year 11. From January in year 11, students work on the Externally Set Task which they will choose from a selection of themes given by the exam board. 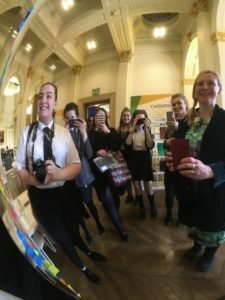 They will develop a set of work in response to their chosen theme with support from staff, then they will work independently to create a final piece for their project during 10 hours of exam conditions around Easter time. Teacher-led workshops introducing a wide range of materials and techniques. 10 hour exam set over a number of days. Final exhibition and assessment. Students work with specialist staff to explore a wide range of techniques and processes including drawing, painting, printmaking, photography, film, digital, textiles, sculpture and more. All projects begin with recording from first hand observation through drawing and photography and are underpinned by research into artists, designers and cultures. Art lessons at St. Hilda’s are taught through one to one tutorials where staff act as facilitators to support, stretch and challenge students to develop their own ideas, build on existing strengths and discover new ones. Through teacher lead workshops and group critiques our artists work together to learn new skills, form and express opinions and share ideas. We create opportunities for our students to explore career pathways in the creative industries, which were worth £84.1 Billion to the UK in 2016 and this figure is increasing year on year. Introduction to A Level Art and Design. Teacher led workshops. Recording from first hand observation. Gallery trip and photoshoots. Personal study – 1000-3000 word essay running alongside practical work and research. 15 hour exam set over a number of days. Final exhibition and assessment.